Actress-turned-princess Meghan Markle and tennis star Serena Williams have been friendship goals ever since meeting at the Super Bowl in 2010. Now that Markle is living in the UK, their friendship is still going strong, despite the long distance. 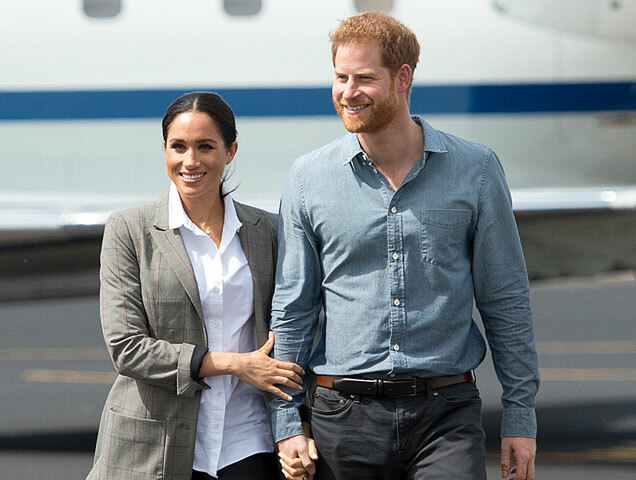 Markle has attended Williams’ tennis matches, Williams attended Markle’s wedding to Prince Harry and now, Markle was spotted wearing the Boss Oversized Blazer ($145) from Williams’ new clothing line. The blazer is currently sold out at online at SerenaWilliams.com, but perhaps we’ll see it back in stock due to high demand.